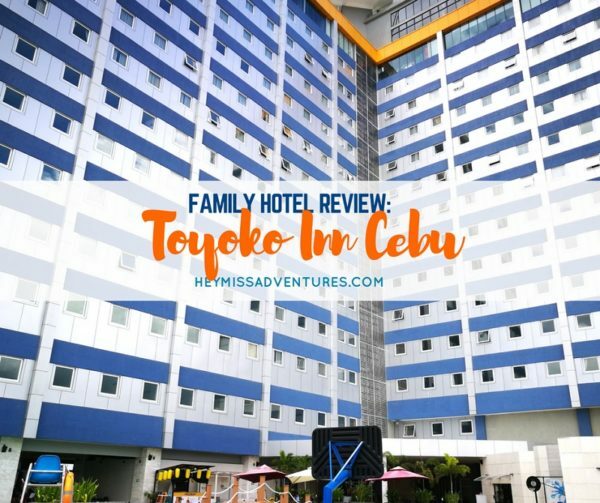 Family Hotel Review: Toyoko Inn Cebu | Hey, Miss Adventures! 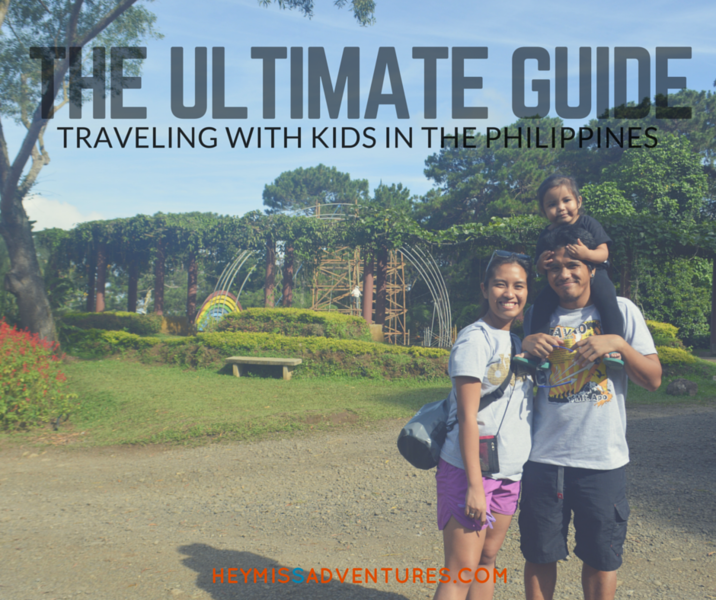 When you have kiddos, going on staycations are always the best (and cheapest) way to travel. And, when it comes to staycations, the number one thing we always look for are the facilities, particularly the swimming pool. I mean, you wouldn’t spend the entire 22 hours cooped inside your hotel room, right? 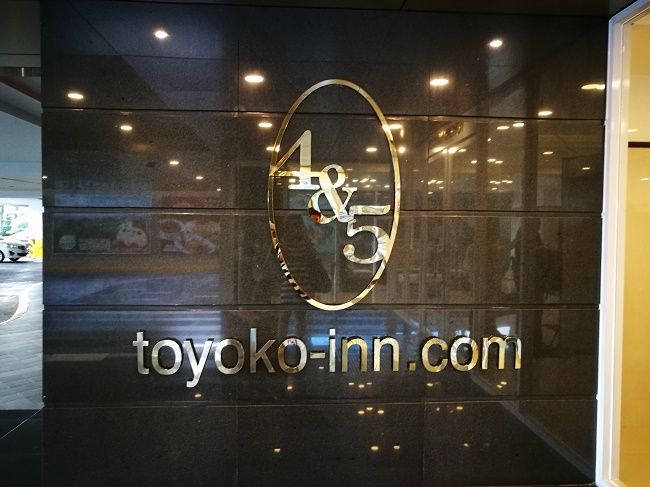 Which was why we decided to try out Toyoko Inn Cebu when it opened. 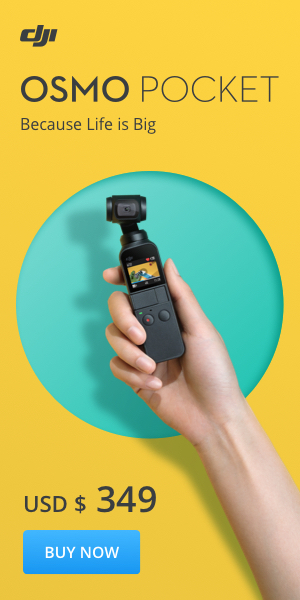 Recommended for families? Yep! 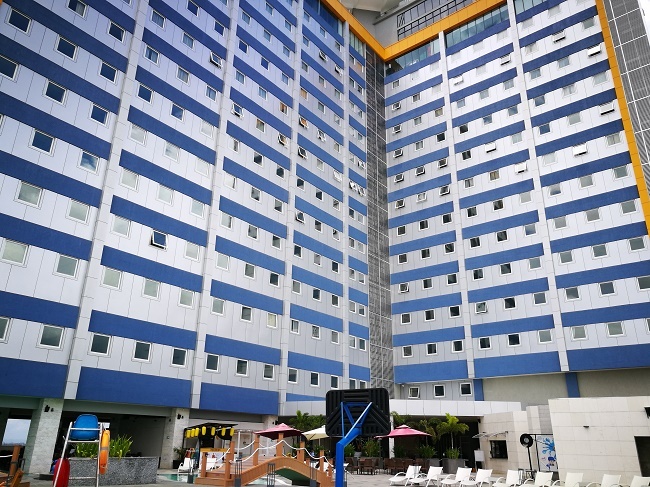 Although Skywater Park is separate from Toyoko Inn Cebu, we still highly recommend it. Plus you get access to JCenter Mall so it’s super convenient for everyone. 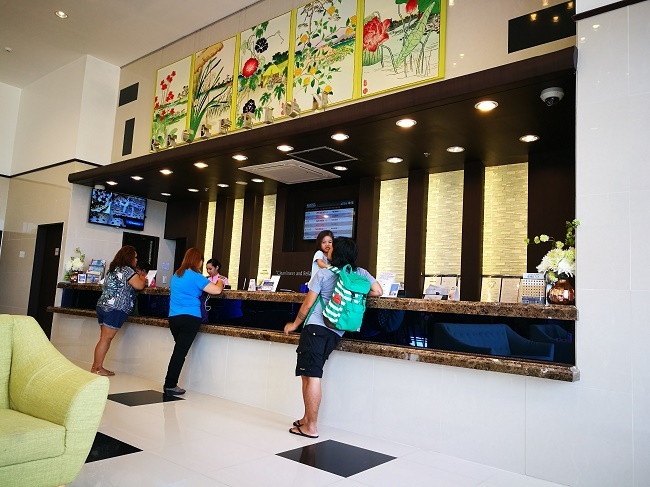 We had the chance to try out Toyoko Inn Cebu during its soft opening, while the prices were still heavily discounted. 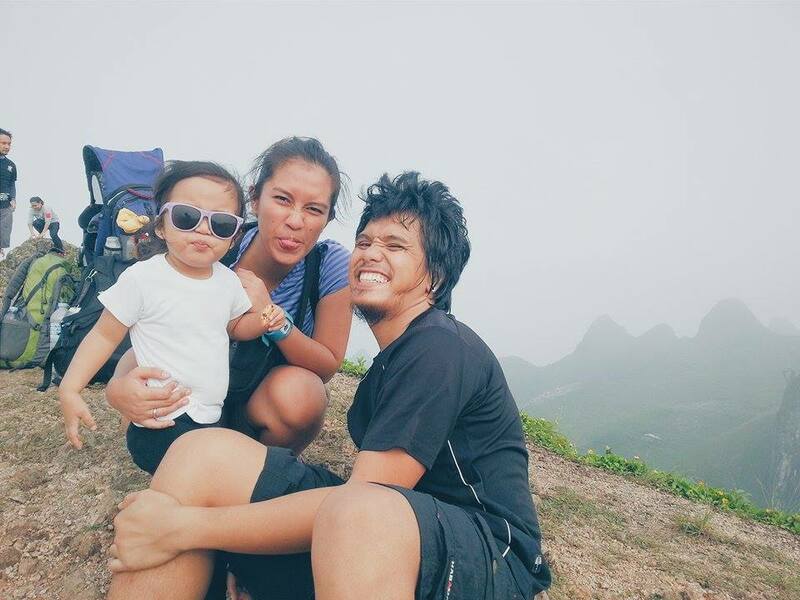 The truth is that Skywater Park was what really enticed us to give the place a try and they had a special promo that time so we grabbed the opportunity to stay there for two nights. Their hotel rooms are rather small but clean and their airconditioning is superb. In fact, I wasn’t able to work during the nights – I forgot my jacket and I was shivering the whole night! Their bathroom is also very modern – it feels very much like everything is fitted into the tiny bathroom. There’s a bathtub, a rainshower and a toilet with a bidet. I was surprised to find out that the bathroom didn’t have any locks! On its own Toyoko Inn Cebu doesn’t really have much to offer. It’s actually designed as a business hotel and it’s also a chain of hotels, mostly located in Japan. Don’t be surprised if you run into several Japanese business people when you have your chance to stay there. 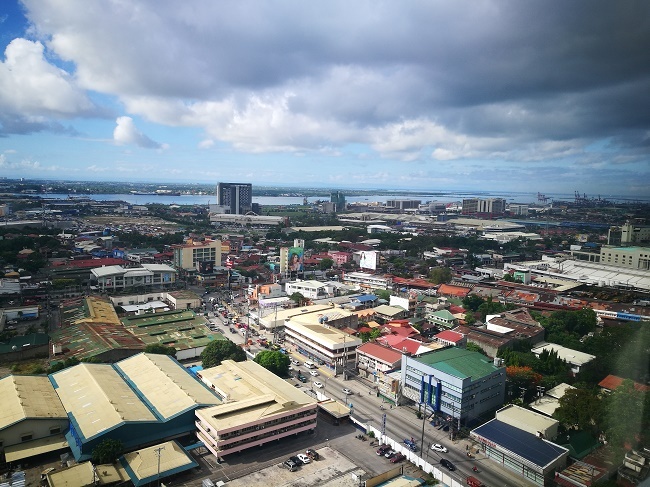 However, it has a really great location – right below the hotel is the JCenter Mall which houses several restaurants, shops, a supermarket and even a cinema. 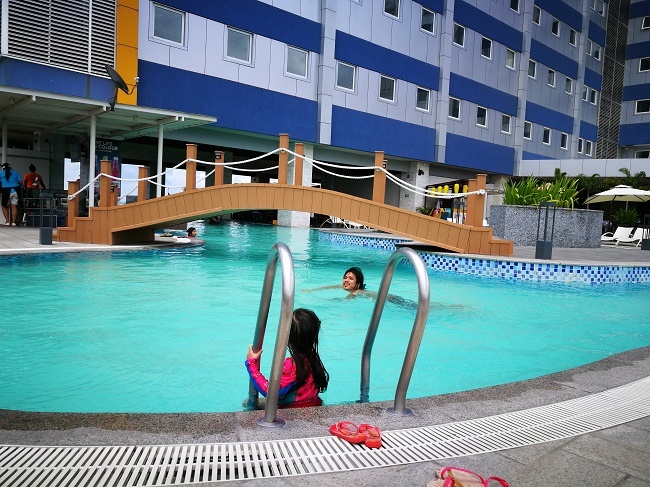 At the lobby level of the hotel, you can also have access to Skywater Park, which is features an infinity pool and a mini water park, located at the 6th floor (roof deck) of JCenter Mall. You can check out Skywater Park for membership rates but you can also visit there as walk-in guests. 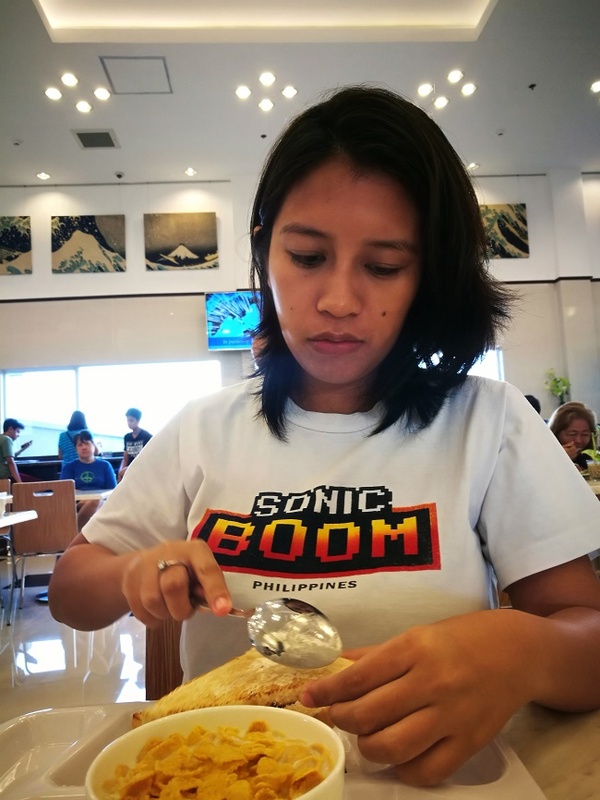 Toyoko Inn Cebu only has one restaurant which serves buffet breakfast. It offers Western food but it really isn’t much – still it’s a great option, at least for breakfast. For lunch and dinner, you can head on to JCenter Mall and find several restaurants and coffee shops. There’s also a supermarket and a convenience store should you wish to buy something. Some Deluxe Twin Rooms in Toyoko Inn Cebu are installed with mini kitchens so you can probably do some cooking in there. Toyoko Inn Cebu offers a shuttle service from the airport to JCenter Mall, where the hotel is located. Or you can take a 20-30 minute taxi ride. 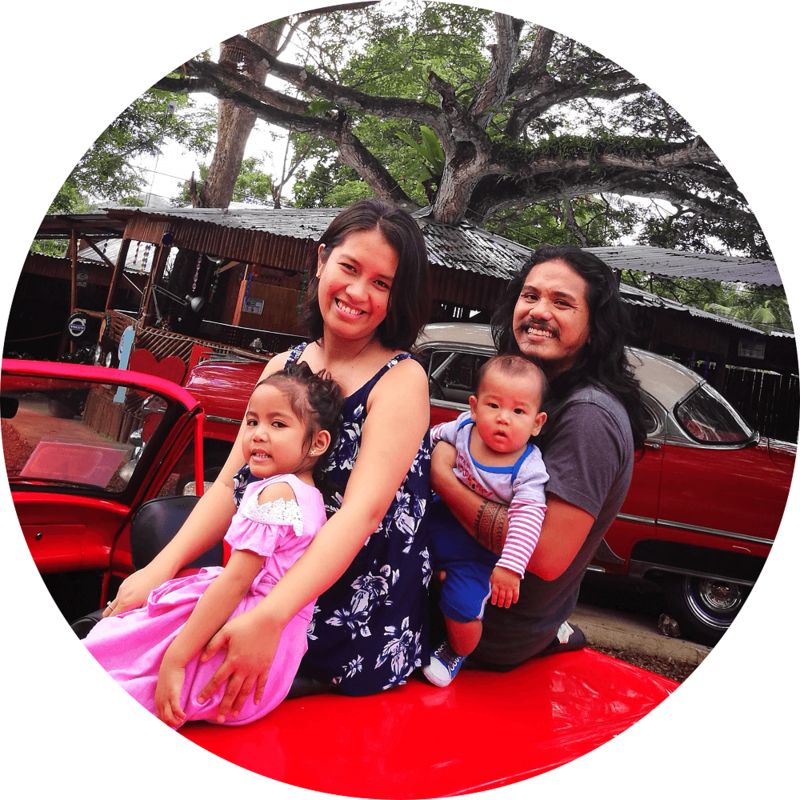 You can also opt to ride a jeepney – the ones that pass by Highway. As mentioned, there isn’t much to do inside the hotel itself except eat breakfast, sleep, watch TV or check out the city skyline from your bedroom window. 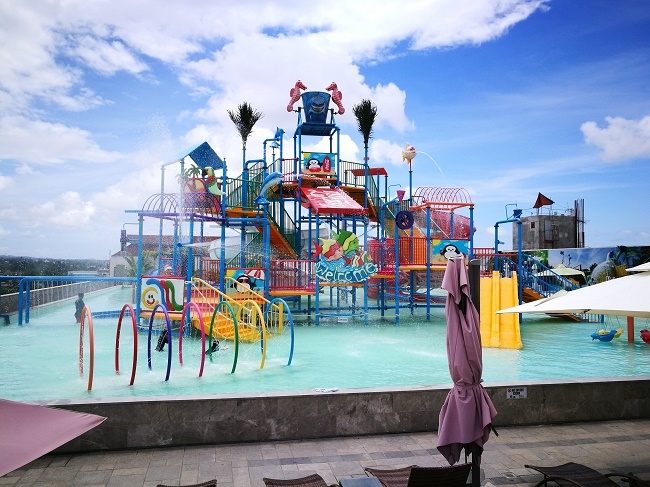 At the lobby on the 6th floor, you can visit Skywater Park or you can go further down to gain access to JCenter Mall. 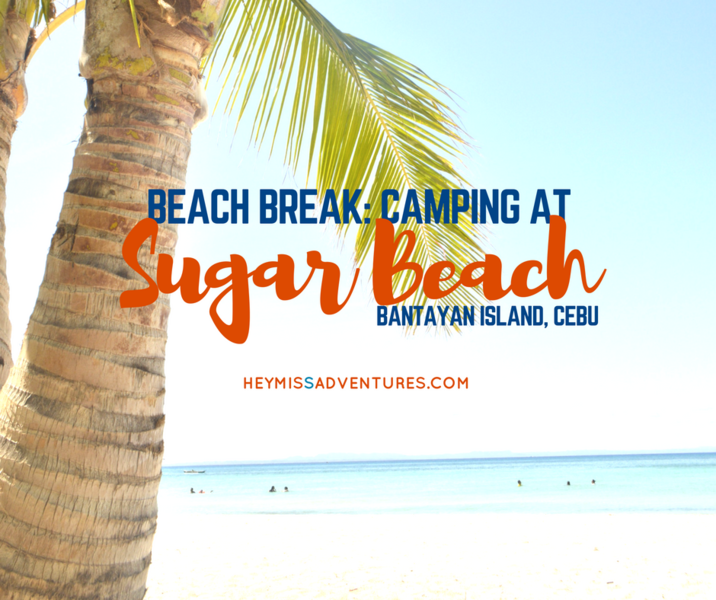 You don’t have to go far because there’s a waterpark and a mall nearby! Toyoko Inn Cebu’s internet connection was okay (I forgot to test their speed, unfortunately). However, there were many times that I got disconnected. There isn’t much of a problem on mobile though. 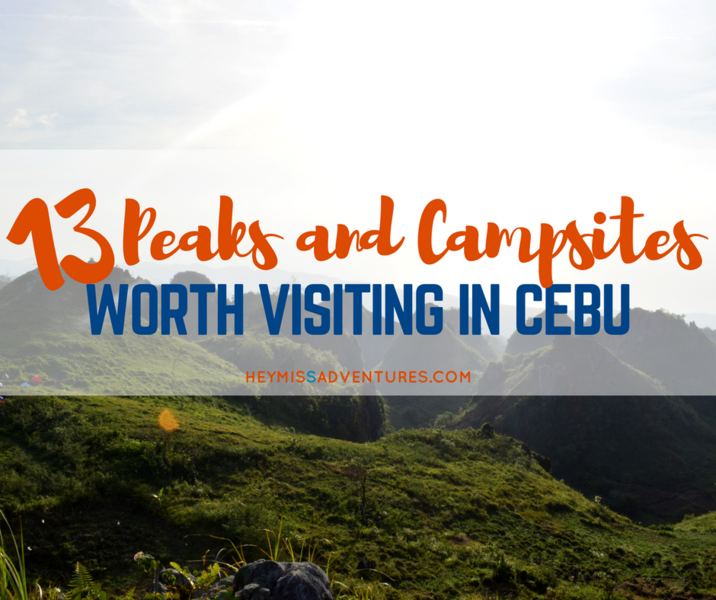 If you are looking for a budget accommodation that is clean and comfortable, Toyoko Inn Cebu definitely wins it. 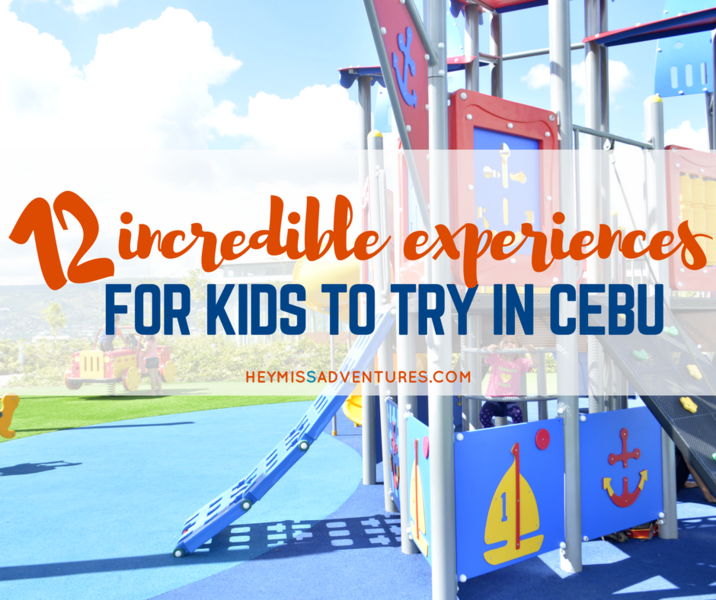 Families will enjoy their stay here, too, because of the easy access to the waterpark and the mall. 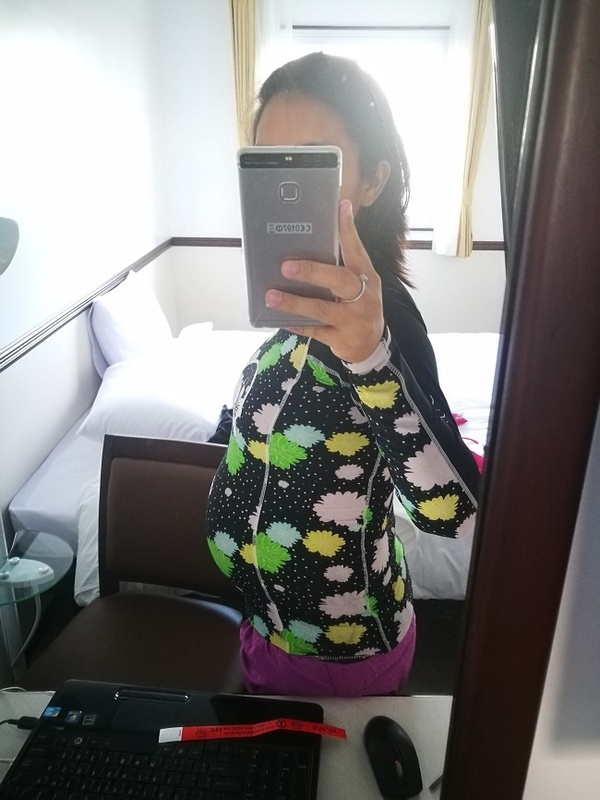 Toyoko Inn Cebu also constantly runs campaigns (room rates at discounted prices) such as their Maternity Campaign. I believe they also have a membership program which is perfect if you are constantly visiting Japan.